How to Find, Download, and Borrow Books from the Internet Archive – TC Net-Works, Inc.
On Tuesday hundreds of thousands of works entered the public domain. That includes early movies, pictures, early audio recordings, and many pieces of literature. Many of those works are available through the Internet Archive. 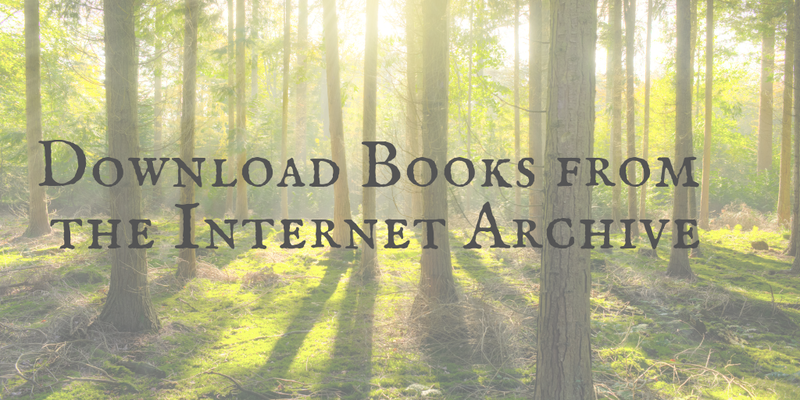 The Internet Archive offers millions of texts that can be borrowed and or downloaded for free. In the following video I demonstrate how you can borrow ebooks and download ebooks through the Internet Archive. There are a couple of things that teachers should note about the Internet Archive before sending students there to look for free books. First, the Internet Archive does contain some works that you definitely wouldn’t want elementary school students to see or listen to. Second, borrowing through the Internet Archive requires registration with a valid email address. Therefore, the best way for teachers to use the Internet Archive is to find what they want students to access then download it and place it into a Google Drive folder or OneNote folder for students to access without having to actually go to the Internet Archive.